The Park and Sun Sports Double Back Bar Multi-Purpose Goal is made of 1.625-inch high-impact PVC with a double-bar back for increased stability. The bungee slip-net make it easy to set up and the push-button lock fittings make it easy to fold up and store. 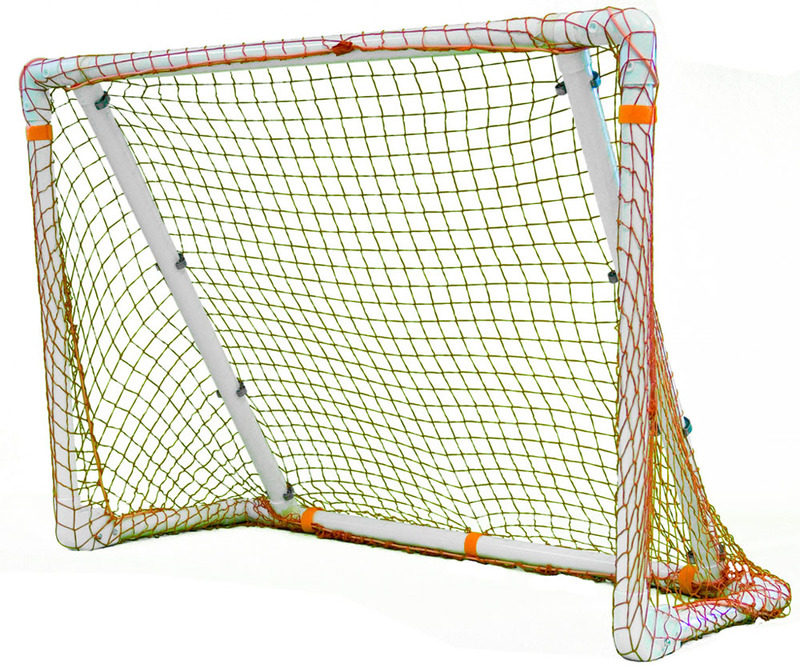 This net is perfect for youth soccer or lacrosse. It comes available in a variety of sizes. The six foot wide version comes with net clips to turn it into a rebounder.